The human capacity, notably in cultures where measurements are valued, places much stock in numbering deeds. In the case of the US presidency, power is supposedly meant to translate into something within the first hundred days, a ring fight between the president and other arms of government, a race to the policy making podium. The US political system, in its republican realisation, has heavily qualified such vast, plenary powers a president would otherwise have. In its stead is the illusion of effectiveness. 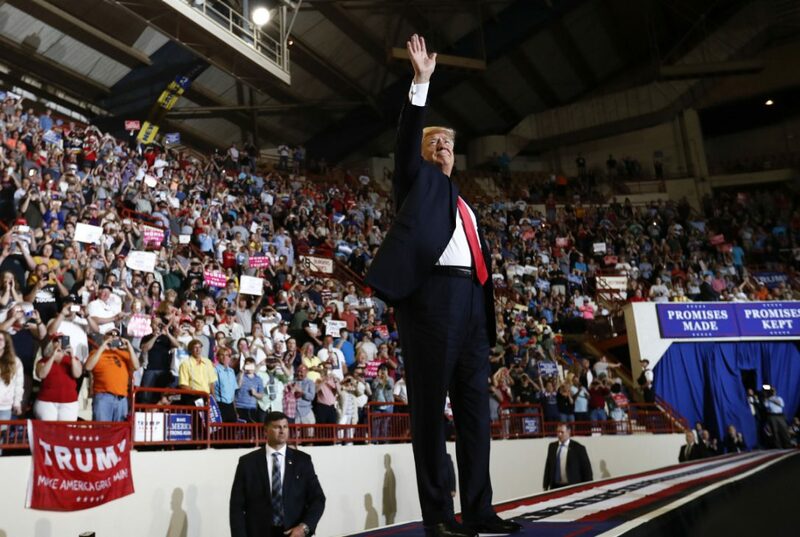 It was precisely that illusion on show at President Donald Trump’s rally in Harrisburg, Pennsylvania on Saturday, a gathering suggesting that, when things are going poorly, pretend you are still in electioneering mode. The blustering speech was flecked with contingencies and what had yet to come. America had yet to be made great again, but would become so in a blaze of inevitability. Much had to be done, but many a box had been ticked in terms of executive orders and directives. (However effective, it is always important to look busy.) His administration had been “keeping one promise after another”; it had been “very exciting and very productive”. On immigrants, Trump recited, with staged evangelism and polemical peculiarity, Al Wilson and Oscar Brown Jr.’s The Snake, something he has done on various occasions. Initially, it might have been taken as a statement on the immutable nature of instinct: the snake, even wounded, cannot deny its stinging nature, even against a kindly woman who takes it in. But that image was soon replaced by that of the easily deceived humanitarian, the idea that offering sanctuary to certain immigrants was dangerous. While Trump was keeping his supporters happy in Harrisburg, Washington’s media personalities were gathering for the annual White House Correspondents’ dinner. Not since 1981 has a US president decided to avoid such an event. And Trump seemed happy to. This beastly swamp has become the repository of Trump’s darkest targets: establishment media with their spun narratives couched in false objectivity; purveyors of fake news. Again, for all the usual Trumpisms, the president was still casting morsels to various political positions on the left and right of politics. He took an expected torch to the North American Free Trade Agreement, suggesting that it would be renegotiated with Canada and Mexico, or abolished altogether. 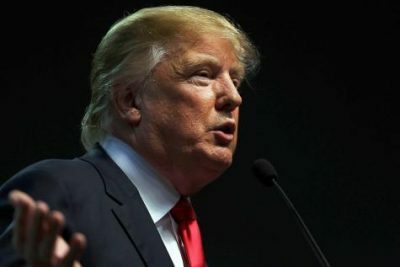 He also puzzled supporters in the Harrisburg address with an accommodating tone towards China’s President Xi Jinping. The reason? North Korean provocations needed Chinese dampening and restraint, and now was no time to be getting irate. Taken as a whole, the Trump resume is certainly not impressive so far. There has been much fury in pursuing an agenda made more from air than the tangible. The anti-establishment maverick has had to work with aspects of the establishment not much to his liking. Central to the first century of days was the vain effort to restrain immigrants and those travelling from several hot spot countries. Many courts in the US thought otherwise about the wisdom of his executive order. Nor has the megalomanic wall materialised. There were also appointments that went awry, notably that of former National Security Advisor Michael T. Flynn. There have been resignations and investigations about connections with foreign powers, notably that of Russia. But, reassured Trump, the appointment of Supreme Court justice Neil Gorsuch was successful! There have been a few spectacular displays of school boy insolence: the cruise missile attack on Syria, much for the sake of display, showed that he could still pull some strings and court the misguided humanitarian lobby, the same one he otherwise despises. Key areas of reform, if one dare use that feeble term, have been left standing in winds of chaotic anticipation. Having come to office thinking that the Affordable Care Act was a demon to out, rout and abolish, the opposite is true. There has been no nationwide implosion (or explosion, as Trump preferred to term it), and much of the kernel of the system remains something the GOP wants to retain in some form. The road blocks have yet to be overcome. But none of these things matter. The terrain is being redone, repatched, and the language of failure is being redrawn as the language of success. Whether news is fake or not is irrelevant: what matters is that there is news, something which Trump always gives. He might have resignations, investigations, and a hostile Congress to deal with. But he remains US CEO of the largest imperial military corporation the world has seen, an imperial project that, while stuttering, continues its relentless drive. In time, the snake taken in by the US voter may be none other than an all stinging Trump.